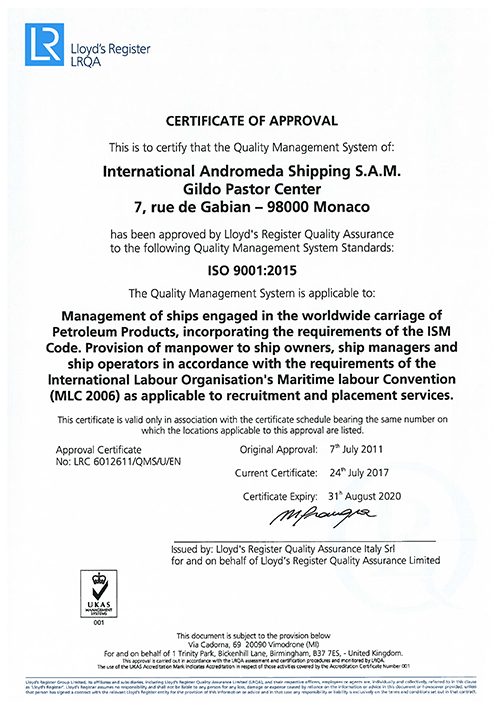 International Andromeda Shipping S.A.M. 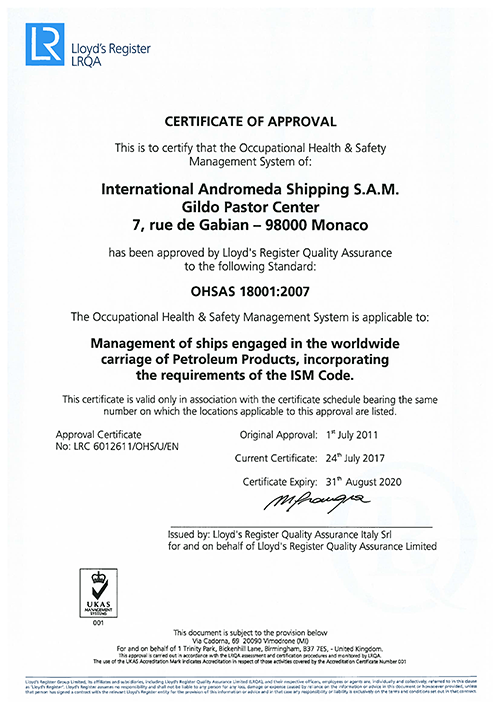 has in place an advanced Integrated Management System embodying its ISM certificate and three different ISO certifications: ISO 9001, ISO 14001 AND OHSAS 18001 plus a developed TMSA in place. 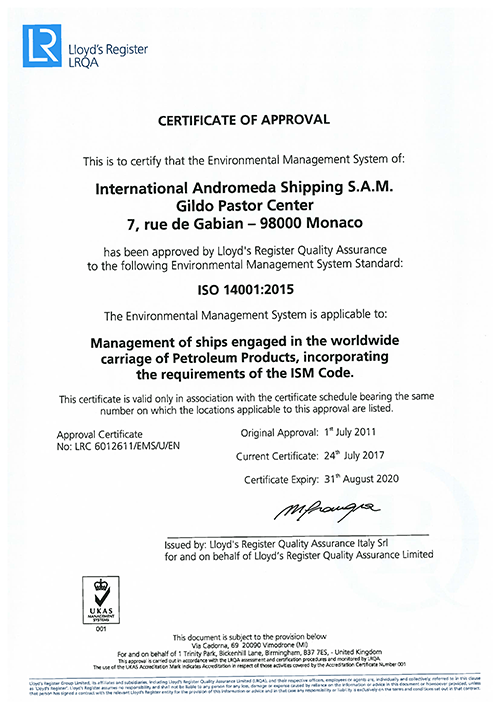 Andromeda is presently one of the few shipping companies to be qualified with three ISO certifications.